WhatsApp users make 2 billion minutes voice and video calls every day globally. WhatsApp finally dropped a long time awaited group video calling option for the users. 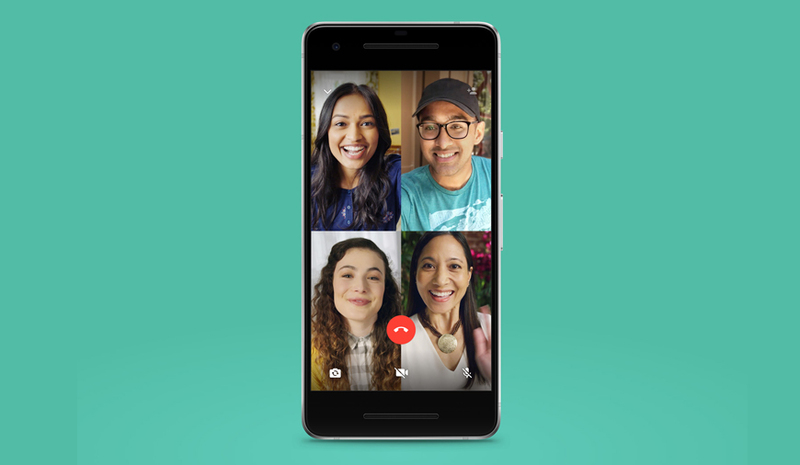 With the new update, the users can make a video call with up to four users. The new feature will allow the maximum four users to join a video call. The feature is available for both Android and iOS devices across the globe. Moreover, the company also mentioned that the users could join the call regardless of their location. In order to make a group call, you need to tab the ‘add participant’ option present at the top right corner during the on-going-call. WhatsApp will ask you to select the contact that you want to add in the call, and then it will add the selected participant to that video call. “You can make a group call with up to four people total - anytime and anywhere. Just start a one-on-one voice or video call and tap the new "add participant" button in the top right corner to add more contacts to the call.”, WhatsApp wrote on its blog post. In May, WhatsApp revealed that it has more than 1.5 billion global users that send almost 65 million messages every day. Besides, there are 2 billion minutes of voice, and video call made every single day by these users. The messaging app received the video calling option back in 2016 in order to compete with Facetime and Skype. Talking about Facetime, Apple will also be adding group chat option that will allow up to 32 users to jump into the conversation. This video calling feature will be coming with iOS 12 later this year for iOS and iPads. Recently, Facebook, the parent company of WhatsApp and Instagram also added the video calling option to Instagram. WhatsApp and Instagram owns a vast user community and with the addition of new features like group video calling things are going to get tough for their competitors. WhatsApp also claimed that the group video calling is secured and encrypted to ensure that user privacy. “Group calls are always end-to-end encrypted, and we've designed calling to work reliably around the world in different network conditions. The feature is currently rolling out on the iPhone and Android versions of our app.” mentioned on the WhatsApp’s blog post.